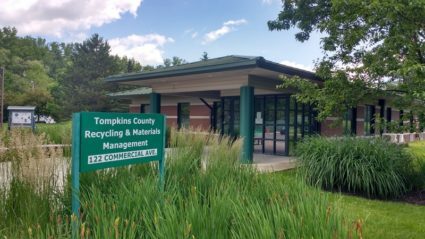 The mission of the Department of Recycling and Materials Management is to develop and implement a sustainable materials management strategy for Tompkins County. With a focus on the state’s solid waste management hierarchy, this approach utilizes and prioritizes environmentally sound, cost-effective, socially responsible, and safe practices. This is accomplished through coordinated administrative, operational, and educational programs that maximize diversion with the 4R’s (Reduce, Reuse, Recycle, and Rebuy) as a focal point. To learn more about our programs and services click here for our most recent annual report.